We have a team which consists of two experienced veterinarians; Jenni Trewren and Warren Foreman, supported by Paige Dempsey, Bec Lovett, Jaymee Campbell & Mary Geddie. 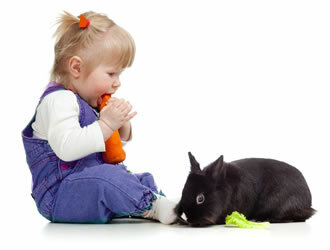 We are all dedicated animal-a-holics and enjoy having the opportunity to interact with your pets on a daily basis. 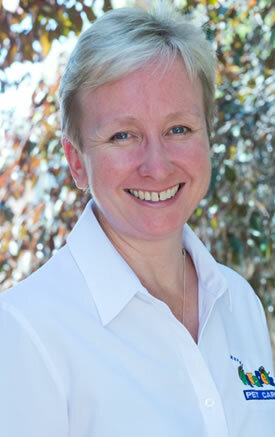 Jenni grew up in Brisbane, and graduated from the University of Queensland in 1990. 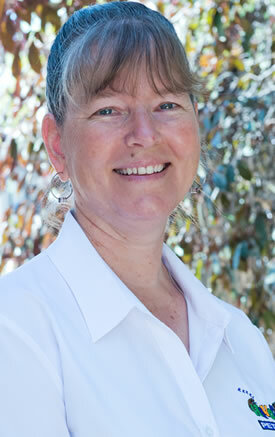 She moved to the Riverland in 1991 and has lived and worked in the Riverland since then. She completed post-graduate studies in 1996 when she was awarded Membership of the Australian College of Veterinary Science in Small Animal Medicine – a challenging undertaking with a new baby (Sarah) who was allergic to sleeping. Tim joined the family in 1996, and after being a mum for a few years, she opened Jenni Trewren Veterinary Services in Berri in January 1999. The name of the business was changed to RIvaPetz Pet Care in 2008. She feels very privileged to be able to provide veterinary care for so many wonderful Riverland pets, and to help ensure their health and wellbeing for their families. The Trewren menagerie currently consists of; Toffee the spoilt Terrier Cross, Molly the very naughty Burmese cat, and some much loved Guinea Pigs with some really weird hairstyles and great personalities. 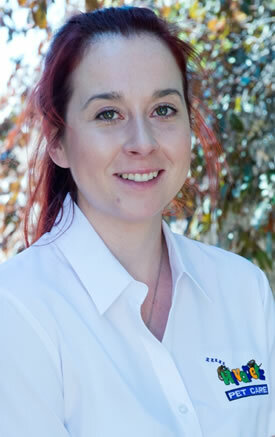 Jenni now also owns St Bernard’s Road Veterinary Clinic in Adelaide and divides her time between Berri and Adelaide. Paige joined the RivaPetz Pet Care team in January 2013. Paige grew up in Renmark with her family, and first dog Pepi. She spent hours at a time carrying Pepi wherever she went, having long conversations with her and even dressing her up! Over the years Paige welcomed many more pets into the family; Pretzel the guinea pig, Nala the cat, Vinnie the turtle, and Logan the quirky Jack Russell who currently resides at the Dempsey residence. After completing her schooling at Renmark High School, Paige moved to Adelaide in 2012 where she studied Veterinary Nursing at Gillies Plains TAFE. As part of her training, Paige undertook various work placements throughout the year, and in October spent two weeks at RIvaPetz Pet Care. 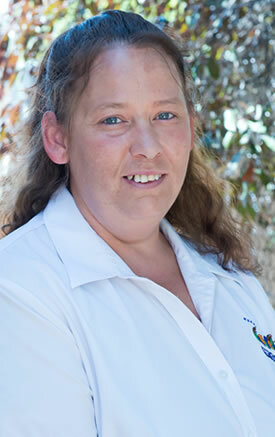 Paige moved back to the Riverland and joined the RivaPetz Pet Care as a qualified Veterinary Nurse. The highlight of her work day is spending time with her special friend Freckle. Bec joined the RivaPetz Pet Care team in March 2012. Bec is a local Riverland girl and has spent her entire life surrounded by animals - although now there are three children as part of the mix also. At this stage her four-legged menagerie consists of Asha (the Australian cattle dog ) and Leo and Tiger the amazing cats. She has been passionate about wanting to work in the veterinary profession for many years and is really excited that she now has now become a fully qualified Veterinary Nurse. Bec completed her Certificate IV in Veterinary Nursing in November 2017. Bec has an amazing capacity to care for the waifs and strays of the Riverland and as well as her own pets, she also shares her home with rescue dogs, getting them back on track before re-homing them. Jaymee joined the RivaPetz Pet Care team in April 2017. She arrived with a great sense of humor and a fabulous Irish accent. Her family consists of two beautiful girls, Willow and Levii, who of course are totally spoilt. Jaymee is enjoying getting to know our wonderful RivaPetz patients and their families. Mary has always harboured a secret ambition to work in a vet clinic even though she has a successful teaching and music career. As a child she was the one in the large family that had the mice, rats, birds, dogs, cats, a goat and even pet ducks. In March of 2014 Mary joined the team to support the Client Relations Team with behind the scenes administrative work. She gets to use her computing skills as well as doing something with animals which is a bonus for her! Occasionally you may see her at the front desk when Helen and Sharon are both away. Mary and her husband have 2 children who have flown the coup to study in Adelaide and Melbourne. Her late German shorthaired pointer, Bella, had been a regular at the clinic since she was a puppy 16 years ago as well as Charlie the cat for 13 years. During the average week Mary spends her time juggling music students, playing piano for a singing group (Sing Australia Riverland) as well as having other small jobs of which working at Rivapetz Pet Care is one. 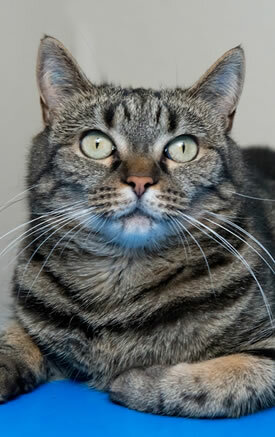 Sumo' was first brought into the clinic as a stray, needing a caring and loving home. Most unwanted cats and kittens are put up for adoption but this one seemed different. When "Sumo" was first let out of her cage, to have the run of the clinic, she hopped right out and set about inspecting everything and everyone. We all fell in love with her! We soon began to realise that she would make the perfect clinic cat. She settled into clinic life really well, equally dividing her daily time with each staff member. She is such a sweet and affectionate cat, but also has a devilish streak within her, she is far from being the little lady-she will roar in and out of each room sounding like a freight train. Little did we know that she would go on to develop ringworm! Earning her the name the ‘ringworm infected thug' or ‘Ompa Lumpa'. Her favourite pastimes are spending time at the front counter where she can meet and greet all of our clients and patients or the warm fax machine in Jenni's office but, she still manages to catch up on some sleep in-between the hectic jobs of being the clinic cat. Freckle was dumped at RIvaPetz, and despite our best efforts to find her a loving home, she has now permanently become Sumo's offsider (or alternatively partner in crime). Her passion is jumping from great heights, and as a result has injured both of her knees, neccesitating surgery on her right knee. 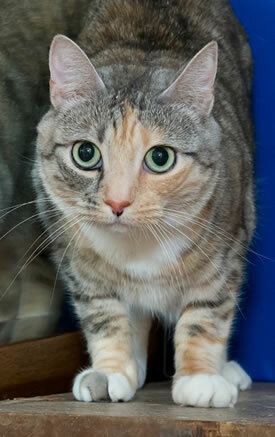 Her favourite past time is to sleep in the treatment room cupboards, and say "boo" to anyone who opens the door. Her most recent trick was to test whether the RSPCA money box on the front counter bounces - unfortunately she found out the hard way that it doesn't!